Last weekend, the 3rd annual Women’s March drew millions of Americans (of both genders) to over 100 other cities. Attendees protested against President Trump’s policies, and advocated for the rights of women, immigrants and marginalized groups. But not everyone in Westport could get to Washington, New York or Hartford. 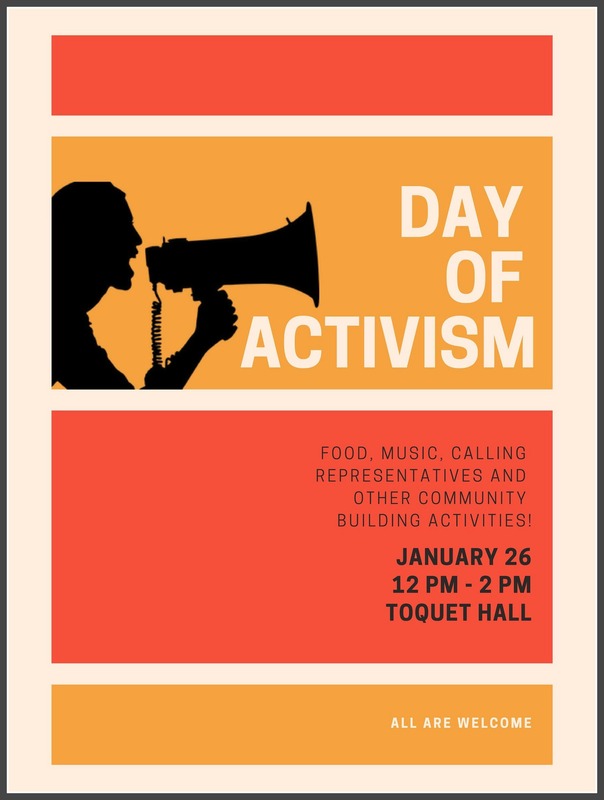 So an afternoon of activism is planned for this Saturday (January 26, 12 noon to 2 p.m.) at Toquet Hall. And it’s being organized by a pair of Staples High School juniors. Kaela Dockray and Audrey Bernstein were 2 of the driving forces behind last year’s gun violence protest at Staples, following the Parkland shooting. Last year, (from left) Parkland survivors Sarah Chadwick and Delaney Tarr, and actress Rowan Blanchard, joined Staples High School students Kaela Dockray and Audrey Bernstein in New York. The hashtag was the motto of International Women’s Day, emphasizing the power of women and the importance of them taking charge. Now, their goal is to keep the Westport community engaged and passionate. The teenagers came up with the idea after hearing about a number of students who wanted to attend the Women’s March, but could not get there. A local event, the girls realized, could keep students involved and civically engaged. Speakers include senior Lydia Donovan, who interned for Will Haskell during his state senatorial campaign. There’s an open mic too, along with singers and a voter registration booth. It’s youth centered — but the entire town is invited. More than a dozen Westporters traveled to Hartford today. 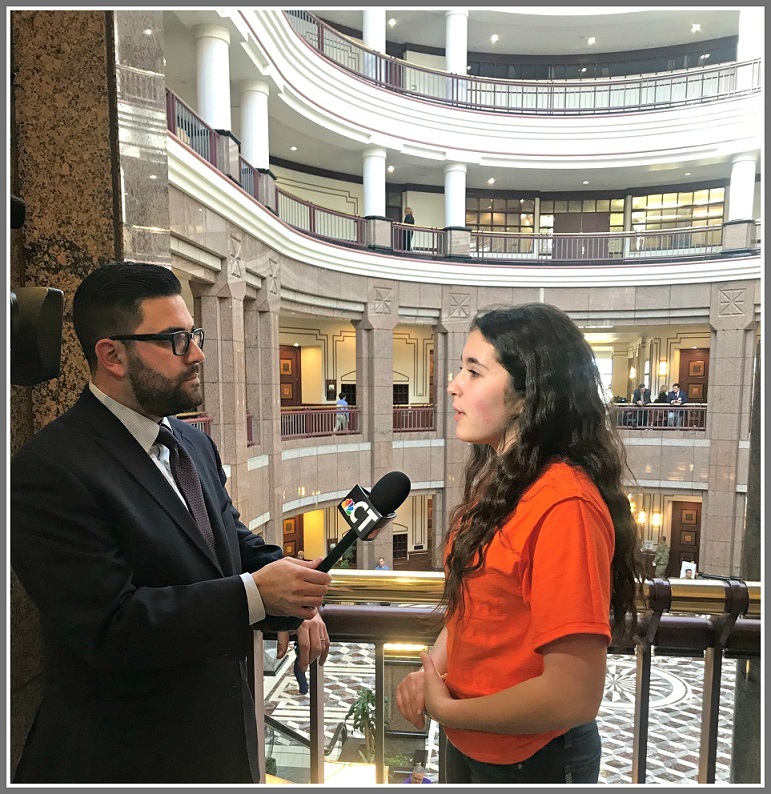 They testified before the Judiciary Committee, supporting a bill that bans bump stocks and related rifle accessories. Alert “06880” reader Jaimie Dockray reports that at least 11 students were at the state capitol. Lily Kane testified. Kaela Dockray submitted written testimony. She and her mom had to catch a train to Washington for tomorrow’s March For Our Lives. First Selectman Jim Marpe and Third Selectman Melissa Kane both testified. “They were awesome,” Jaimie Dockray says. Audrey Bernstein was never an activist. Quiet, smart and hard-working, the Staples High School sophomore dedicated herself to the school paper Inklings (she’s the features editor) and the tennis team. Classmate and friend Kaela Dockray — like Audrey, a native Westporter — was similar. She’s Inklings’ sports editor, and plays field hockey. The school massacre in Florida affected Audrey deeply. She had a hard time going to school. When Staples suffered its own near-tragedy — a student was overheard making threats, and had an assault rifle at home — Audrey was rocked again. The Parkland shooting did not hit Kaela as hard. But the Staples incident made her realize that the potential for tragedy was real. As she thought about how the Florida students reacted, she realized she needed to do something too. A few days later, Audrey and Kaela heard that Delaney Tarr and Sarah Chadwick — 2 Parkland survivors — would be speaking at an International Women’s Day event in New York. On the spur of the moment, they headed to the city. Delaney and Sarah told their stories. They urged young people to join the gun reform conversation. Kaela and Audrey were captivated. They wanted to speak personally with the Parkland girls, but journalists swarmed them first. After 30 minutes of waiting the Westporters gave up, and left. But — in what Audrey calls “fate” — Sarah and Delaney soon walked right past them. To their surprise, Audrey and Kaela found that Sarah and Delaney were just “normal teenagers.” The Floridians asked to take the Westporters’ picture for their own Instagrams — and then followed them on social media. 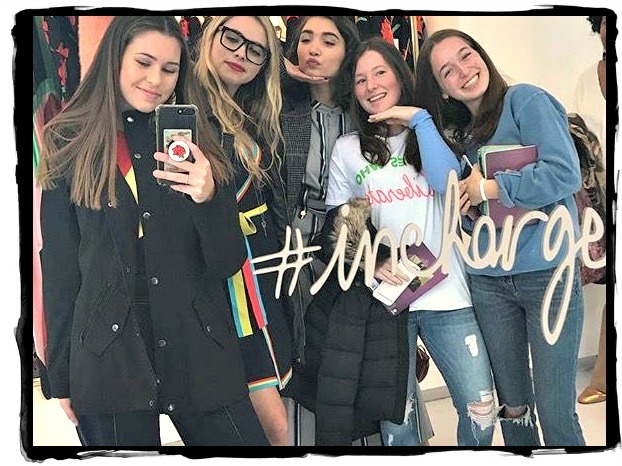 From left: Parkland survivors Sarah Chadwick and Delaney Tarr, with actress and activist Rowan Blanchard, join Staples High School sophomores Kaela Dockray and Audrey Bernstein in New York. The hashtag was the motto of the International Women’s Day event, emphasizing the power of women and the necessity for them to take charge. So when plans were announced for a Staples walkout on March 14 — as part of a national movement in response to gun violence — she and Audrey knew they had to take part. And they would not just help organize the event. They’d speak. Publicly. Both did — with passion and poise. Their speech emphasized that young people have the most crucial voice in the school/gun debate. The reason: It affects them the most. They also noted the importance of giving voice to beliefs — no matter how hard it might be. Feedback was fast, and positive. “Random people stopped me in the hall, and thanked me,” Kaela says. “I can’t believe you did that!” friends and family told Audrey. The girls are not stopping there. 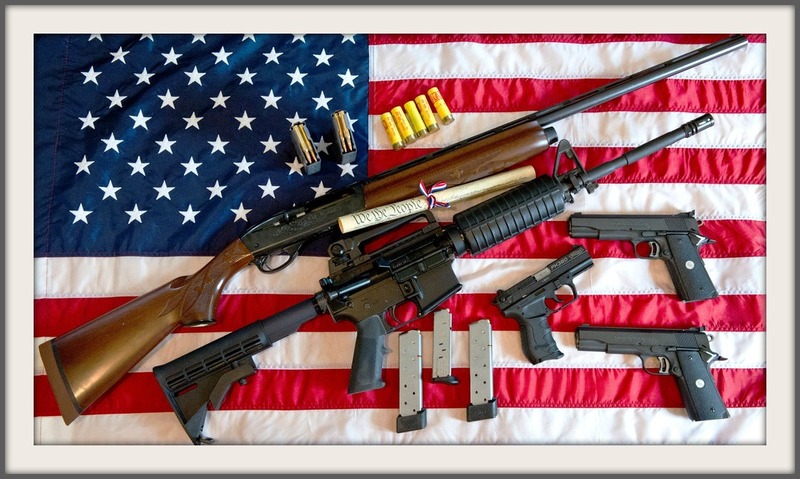 This Saturday they head to Washington, DC to join the “March For Our Lives” rally. And they’ve started an Instagram page, focusing on advocacy. You can follow Audrey and Kaela there: @StudentsStaySafe. You can also follow them as they continue down the new and exciting path they’ve discovered: political activists. Westport and America: The future is not in good hands.